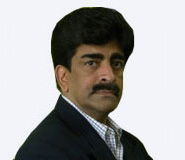 G S Krishnan is the Regional President for Novozymes India. Novozymes is the world leader in industrial biotechnology and microorganisms. He drives Business developments, Strategic partnerships, Sustainability, Mergers & Acquisitions and Leadership development in India. He has been at the forefront of developing Novozymes business in India, as well as playing a leadership role in the Industrial Biotechnology segment for over 25 years. During his tenure, Novozymes India has grown from a small organisation of 5 employees in 1991 to over 550 employees today. As Regional President, Krishnan has been actively involved in the strategic acquisition of Biocon’s enzyme business. He plays a thought leadership role, in close coordination with external stakeholders and decision makers, giving necessary inputs on industry policies and regulatory standards in the Industrial Biotech segment. He also drives Novozymes Sustainability agenda. He plays a key role on the overall strategy of Novozymes in India, providing Senior Management on both insights on business opportunities India, as well as the political and economic scenario in the Country. He is the Chairman of the Novozymes Indian Leadership Team. Some of his external roles: Co-chiarman of the Confederation of Indian Industry’s ‘National committee on Wind & Bioenergy’, Member of the ‘Vision Group’ on Biotechnology, Government of Karnataka, Vice President of the ‘Association of Biotech Lead Enterprises’ (ABLE). He holds a Bachelors degree in Applied Sciences (in the faculty of Engineering) from Coimbatore Institute of Technology and PGDMM from Annamali University. He has undertaken the “Leading for Results” program from INSEAD Business School, Singapore.